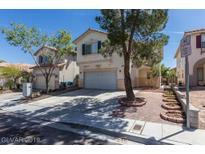 Below you can view all the homes for sale in the Spring Mountain subdivision located in Las Vegas Nevada. Listings in Spring Mountain are updated daily from data we receive from the Las Vegas multiple listing service. To learn more about any of these homes or to receive custom notifications when a new property is listed for sale in Spring Mountain, give us a call at 702-323-5933. Need to see this one fast. MLS#2087088. RE/MAX Excellence. Beautiful Southwest Home. Great Location. MLS#2082702. Go Global Realty. Owner will offer incentive for buyer's closing cost. Must see. MLS#2082077. 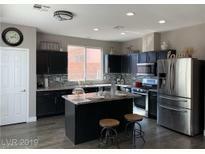 All Vegas Properties. Buyer and buyer agent to verify all info. A must see! MLS#2082023. Compass Realty & Management, L.
Upstairs Bedrooms Are Good Size And Have Jack And Jill* Rear Yard Is Open Canvas* MLS#2080221. ERA Brokers Consolidated. House is conveniently located near 215, shops and restaurants. Must see. No HOA. MLS#2076569. Show Vegas Realty.